Soo, while I usually wear alot of pastels in the spring and wait until around July to wear the reds, whites and blues, I couldn’t wait to wear this adorable navy blue peplum last weekend (Memorial Day). And I actually think this outfit would have been perfect for the Fourth of July but I had already bought something else to wear for then, So I opted for this outfit and I really just wanted to be comfortable being that I was by the lake all day. Hope everyone has a great weekend! Hey ya’ll, it’s been a while since I updated. 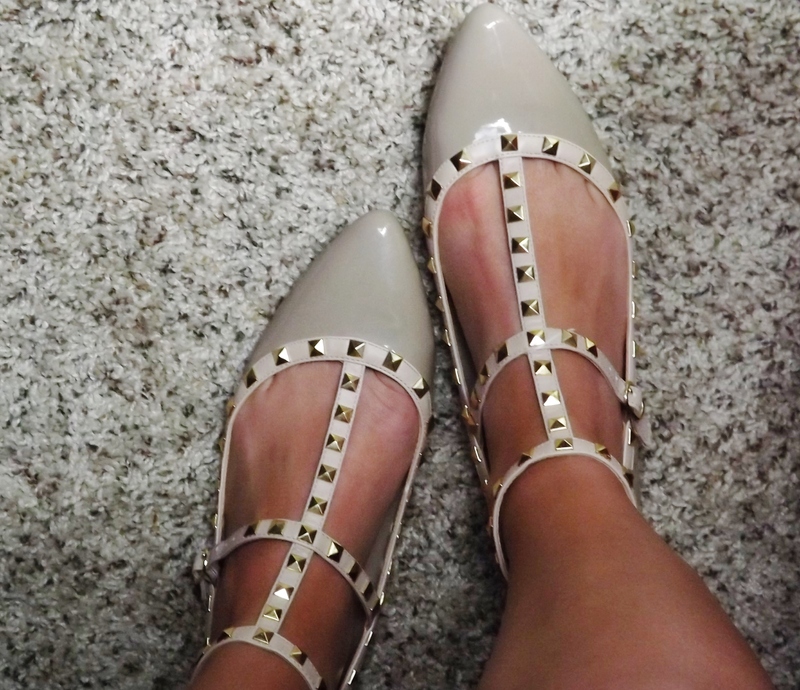 But I am excited to share with you these new Valentino look alike (Yes, I said look alike) rock studded flats! If you are like me and have been obsessed with the Valentino version but looking for them at a more affordable price, you will know they are few and far between to find some almost exactly like them! I think I found as close as I am going to get! And I am in looove! The Valentino rock studded flats are $790 while these from Charlotte Russe are $32.99!! And right now if you buy one pair of shoes on charlotterusse.com you get another pair for only $10 dollars! And these are going fast. The other colors sold out fast last week.